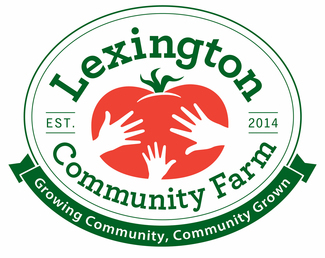 Enjoy Lexington Community Farm's Spring event, and help others enjoy it too! We need volunteer to help with set up, run children’s activities, welcome visitors, staff the info table, greet visitors at the hoop house, and help in the goat yard. This is a fun community event with children's activities, greenhouse tours, food, entertainment and Silk Fields' animals in the goat yard – come lend a hand and have a great time! All volunteers will report to the Welcome Table where they will turn in their Liability Waivers and receive a short orientation from Event Organizers: Tim Hines. Read and sign the LexFarm Liability Waiver and Emergency Contact Form (below) and bring it with you to farm. Volunteers will help set up tables, chairs, tents, signs, food, and balloons. Set up volunteers need to be able to lift 30 pounds. Volunteers, please meet Tim in front of the farmstand at 9:00. High school students/general volunteers to help with kid's activities and pass out samples (including: face painting, vegetable racing, seed starting, and insect headbands). High school students/general volunteers to help with kid's activities and pass out samples (including: face painting, vegetable racing, seed starting, and insect headbands) and event cleanup. Must be very familiar with Lexfarm - Answer visitor questions, sell CSA shares, could be broken into two shifts. Must be very familiar with Lexfarm - Welcome visitors, sell tickets + hand out scavenger hunt maps, sell seedlings, could be broken into 2 shifts.